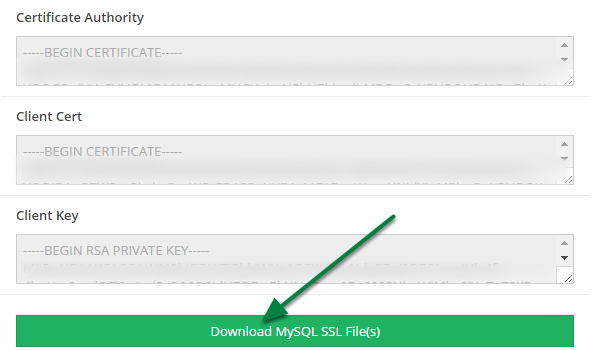 MySQL supports secure (encrypted) connections between clients and the server using the Secure Sockets Layer (SSL) protocol. SSL uses encryption algorithms to ensure that data received over a public network can be trusted. It has mechanisms to detect data change, loss, or replay. SSL also incorporates algorithms that provide identity verification using the X509 standard. TMMData now provides this option for new customers upon creation. Existing customers may submit a Support Request to activate SSL. 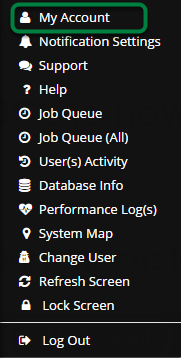 To submit a Support Request, first click the 'User Tools' icon. This will open the 'User Tools' menu. 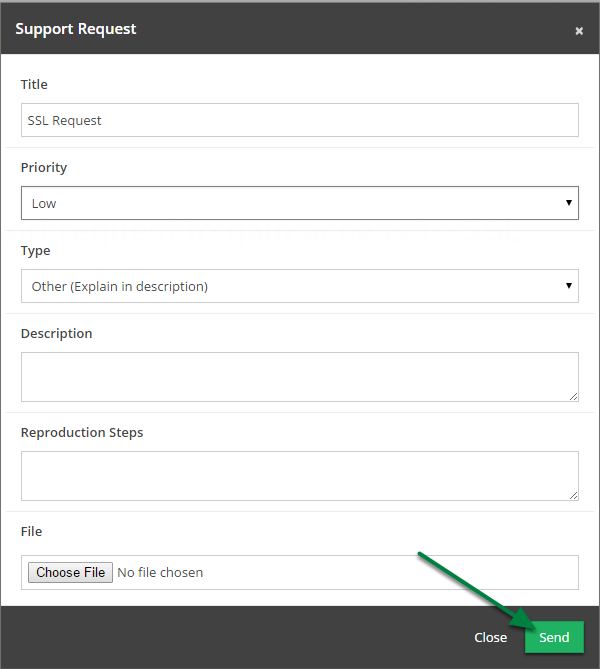 Next open the 'Support Request' Modal. Fill out Support Request form and click 'Send'. That's it! You will be contacted by a TMMData Support Specialist shortly. Alternately you may contact a TMMData Support Specialist by email at support@tmmdata.com. If you already have SSL enabled on your account you may download your certification files as an archived file. To download your SSL files first open 'User Tools' menu. Next click 'My Account' to open the 'Account Info' modal. At the bottom of the 'My Account' modal select 'Download MySQL SSL Files'. This will initiate a download of an archived file containing your three certification files. Next: You can now show password when typing in a password.